Summary: Lost items found. Paranormal Investigations. Review: Butcher has an amazing way with description. This is an action packed novel, but he doesn’t rush anything. Instead, each page is brought to life through description. Whether that be physical descriptions or description through Dresden’s many observations. It works! Dresden is a witty, sarcastic, badass (to say the least) private investigator slash wizard. 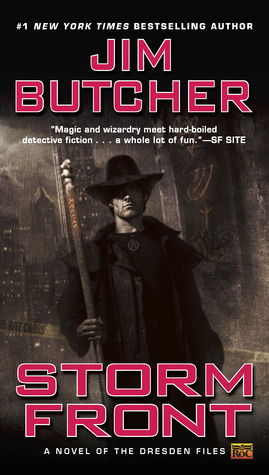 Butcher has done a great job creating a well-liked character who is also very authentic. His faults and sarcasm bring him to a human (though he’s a wizard) level.